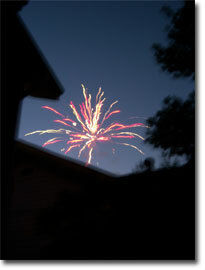 I snapped this photo on, ten guesses, the 4th of July. Relaxed fireworks ordinances in Minneapolis (although I was sure someone’s roof was to be set ablaze) have created opportunities to celebrate without leaving one’ s own backyard, which is where this was taken. It made me think, if you are familiar with Zinnia ‘Fireworks Mix,’ it is not much of a stretch to see where the name came from. Zinnias are such treat in the summertime. Oddly, for such a tropical looking flower, they are also so nostalgically Minnesotan.